It’s often the case that sophomore episodes tend to take a bit of dip in relation to the excitement of a season opener but not `Sleight of Hand` which proves even more involving than the opener ably managing to deliver even more action and adventure. It opens with D'Artagnan seemingly involved in an illegal duel for which he is arrested and thrown into prison. However this turns out to be a ruse to gain him access to Vadim, a ruthless terrorist plotting some sort of attack. D’ Artagnan’s mission – for which it seemed he volunteered despite the other Musketeers’ reservations- is to find out what the target is and where Vadim’s gunpowder is stashed. The results show that when it comes to traditional swash buckling with a sprinkling of modern TV, this series has it sewn up. Writer Adrian Hodges manages to keep plates spinning for all the characters with enough trickery and subterfuge to go round ;each time we imagine what is happening, it turns a different corner and also manages to keep some on- going sub plots bubbling too. D’ Artagnan is again the centre piece with Luke Pasqualino growing in confidence in a role that could be too virtuous to be convincing. The only slight niggle is that perhaps we are not given enough insight into what he’s thinking as a still relatively new addition to the group. Also the other musketeers tend to get a little left behind in the melee thouh Tom Burke’s Athos seems to have developed an ability to make his mark in the most casual way he can. The exchanges they do get are amusing and feisty though and not without some self mockery. Guest star Jason Flemying plays Vadim with an old fashioned flair and gives him an edge that later pays dividends because he seems extremely dangerous and clever. There are two terrific set pieces. In the first prisoners led by Vadim with D’ Artagnan in tow escape just as the Queen is pardoning others and the resulting panic is superbly captured by director Toby Haynes. Even better is Vadim’s chaotic attack on the palace as he casually throws bombs and there’s a very tense `can he escape` scene with D’ Artagnan tied to barrels of dynamite. Of course initially he escapes but then what happens? Add in a few brief but memorable appearances from Milady (Maimie McCoy, splendid), some fun moments and the continued scheming of Peter Capaldi’s enjoyable Richelieu and you have a packed hour. If the series can keep this up for the rest of its run then it will surely come to be seen as one of the best versions of the story. "Gadzooks- they've sold out of lentils"
Having established a house style and delivered two very pacy adventures, the series slows a little for t `Commodities`and begins to examine the personal history and attitudes of the musketeers. Both Athos and Portos come under the spotlight here, though it is the former who has to confront a traumatic incident from his past. The hour long format still allows plenty of time for thrills and spills though combining to ensure the series maintains the standard already set but starts to broaden. The Musketeers are tasked with escorting notorious flamboyant explorer Emile Bonnaire to the king after he broke a trade treaty. Because Bonnaire is an even wilier character than the quartet they have to keep their wits about them to ensure he doesn’t escape in a lively opening sequence set in a dimly lit tavern. Once on the road the party is forced to hide out in an old house which Athos knows only too well- because he owns it. We learn of his seemingly rich past and also the behaviour of his wife who was hanged in the grounds for the murder of Athos’ brother. 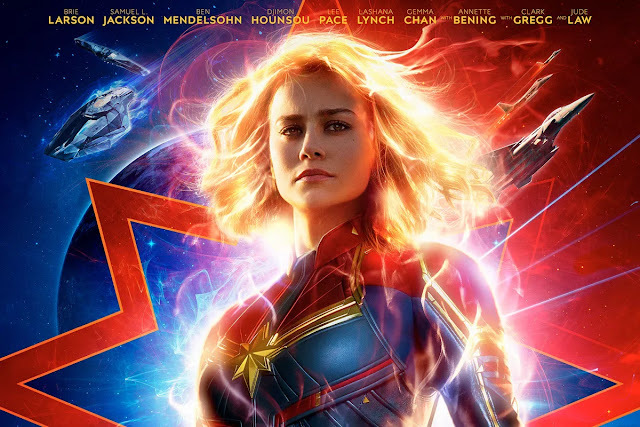 Director Saul Metzstein gives this a big screen melodramatic approach, perhaps the only way it could be done, which just about works though it’s a fine line. It is Tom Burke’s acting that sells it though as the actor pitches at a level which wins our sympathy while remaining in character. Porthos too has issues when it is revealed Bonnaire uses slaves though this aspect sits uneasily in the narrative because there isn’t time to explore it properly though it adds to the tension in the group. James Callis has a great time as Bonnaire complete with flamboyance and strangely deep voice. It turns out that Athos’ wife survived and now, in mad historical woman scorned mode, she tries to burn down the house with an inebriated Athos inside. Remarkably- and the only but that doesn’t ring true- D’Artagnan has the foresight thought to come back just in time to rescue his friend from the flames. Again it works because of the direction and acting though written down the plot seems a little far- fetched. The episode does include some interesting side lines like Milady’s mysterious pursuit of D’Artagnan – for such a confident, powerful person she seems to spend a lot of her time following him covertly. There are also some Richelieu moments as Peter Capaldi gains confidence in a role that would be easy to over egg, but he has developed an outwardly calm but inwardly seething persona. The second season will miss his presence for sure. 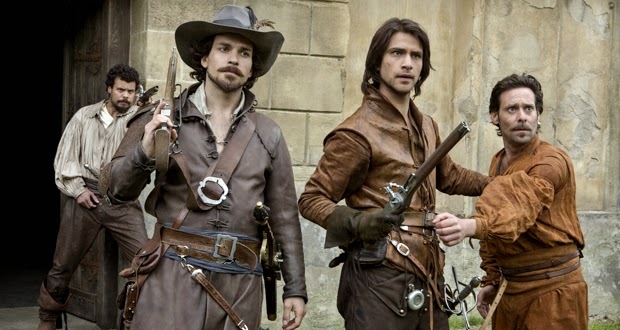 The episode’s story means there is more to do for each of the musketeers and they are bonding well; it is Burke’s episode but each get their moment. The episode adds some heart to the series’ bravado and bodes well for the rest of the season, Three episodes, three hits- that’s an impressive beginning.